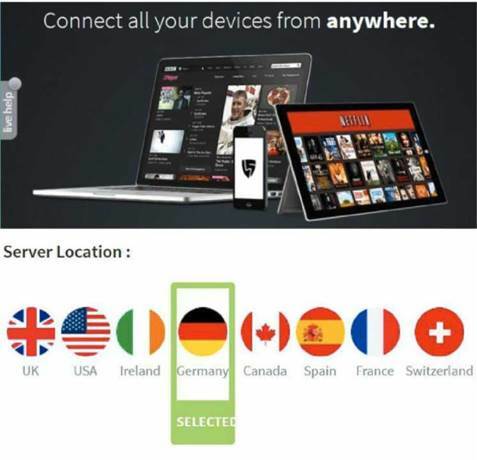 Liberty Shield is a UK-based proxy and VPN provider, which offers the usual range of software clients, along with a preconfigured router, both of which give you access to the same small network of eight locations: the UK, US, Ireland, Germany, Canada, Spain, France and Switzerland. Liberty Shield claims to offer ‘superfast Tier 2 network speed with sophisticated routing to help ensure zero buffering with video streaming’, and can also unblock Netflix among many other services that might be geo-blocked due to their location. 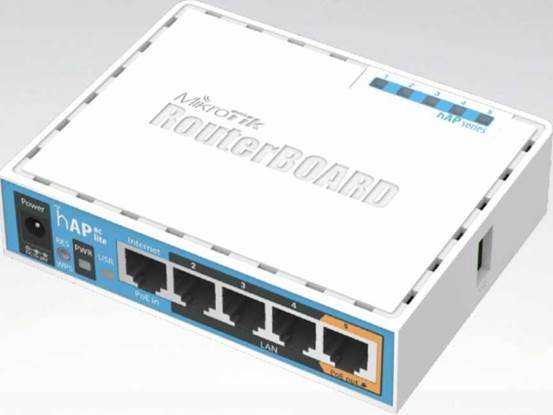 Its VPN Router is a customised version of the popular MikroTik hAP Lite box, which comes with five 10/100Mbps Ethernet ports, dual-chain 802.11b/g/n 2.4GHz Wi-Fi, single-chain 802.11ac 5GHz Wi-Fi, and a USB port for 3G/4G modems. There’s more detail on the MicroTik website (http://bit.ly/2AyfqTo) if you need it. The starting price is attractive at which includes your choice of power supply (UK, EU, US), free UK shipping for the router and one month of VPN access. Subscription prices are relatively high, though, ranging from per month to an equivalent for the annual plan. Liberty Shield’s VPN Router still seems reasonably cheap for the first year, but after that it begins to look relatively costly. There’s some compensation in Liberty Shield’s UK-based customer support, which is open from 9am to 9pm, seven days a week, and includes live chat, email, support tickets, and even an option to schedule a call-back. We tested the chat service and got a helpful and friendly response in less than a minute. It’s wise to be skeptical of web reviews, but reports on Trustpilot consistently praise Liberty Shield for its customer support. Support matters, too, especially with a VPN router where you might add new devices. If you’re not the technical type, then spending more a year to help solve these problems is a good deal. This is vague, and not ideal, but it’s also not unusual; many VPN providers do something similar. We browsed the small print, too, but didn’t find anything unusual. anything illegal, don’t breach copyright, don’t be a spammer – you know the deal. and a card with an allocated login name and password. The Quick Start guide started off well: Plug one end of the router cable into the VPN box, the other into your regular router, plug in the power cable and wait for it to connect to the Internet. Easy. “To begin the activation process please visit https://www.libertyshield.com/activate and enter the SSID and Code from the front page of your booklet”. the card that would be used for payment. (The first month is free, and if you cancel your subscription before the month is up, you won’t be charged anything at all). Moments after submitting the form, an email arrived reporting that our router was now activated and ready for use. Sure enough, the SSID name of the Liberty Shield box was now visible, and we were able to connect to it from a laptop, tablet, phone and TV by entering our allocated wireless password. connection method (VPN or Proxy), save the results, turn your router off, wait a couple of minutes, turn it on and wait for it to reconnect. The web console offers a few other connection settings – protocol, Wi-Fi SSID and password – but nothing like the power or configurability you’d get with a standalone router. We started our tests using a wired connection. Our router was initially set to use our nearest UK server, and this delivered solid results, with download speeds ranging from 52-58Mbps on a 75Mbps connection. Switching to a wired connection showed no real difference on our laptop, which managed to max out its wireless adaptor at around 44Mbps. Our mobile saw a dramatic drop in performance from around 50Mbps when connecting to our regular router, to more like 25Mbps when using Liberty Shield. That was unexpected, but as this isn’t an issue that affected other devices, we didn’t count it as a significant black mark against the product. Switching our location to Germany saw speeds fall to around 20-30Mbps on a wired connection, around what we would expect from a regular VPN. UK-US connections were inconsistent and relatively disappointing, ranging anywhere from 6-20Mbps. We visited a few geo-blocked sites, and found Liberty Shield accessed them without difficulty. There’s no guarantee that this situation will last, but at the time of writing, the service works well. Liberty Shield’s router package is easy to use, but has limited power and configurability options.